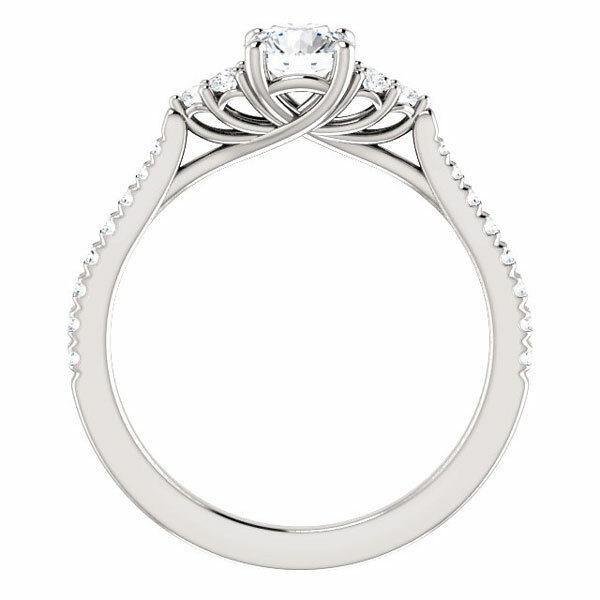 A remarkably beautifully and unique diamond engagement ring design, the 3/4 Carat French-Cut Trinity-Accent Diamond Engagement from Apples of Gold Jewelry is crafted in your choice of 14k white gold, 18k white gold or platinum (also available in yellow gold by request). 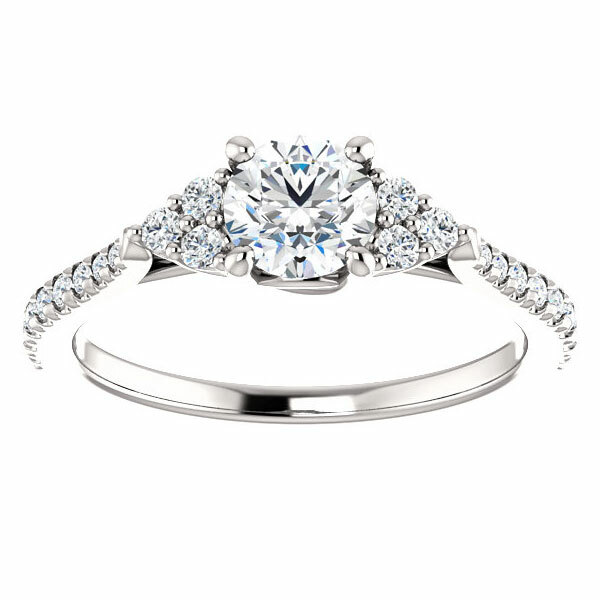 The engagement ring is set with a 1/2 carat center diamond (0.50 carats) and a trinity of 3 diamonds on each side of the center stone for a total of 6 diamonds weighing 0.12 carats and the band is then accented with 16 diamonds weighing 0.16 carats for a total of 0.78 carats of quality, white diamonds in G-H Color, SI Clarity (standard) or you can upgrade to higher grade diamonds (optional). We also have a 3/4 carat center diamond version (shown below) or you can contact us to request a 1 carat diamond center version, which is available by custom order. The ring has a top height dimension of 5.66mm tall and the shank of the ring is 2mm thick. Available in women's sizes 4.5 - 9. 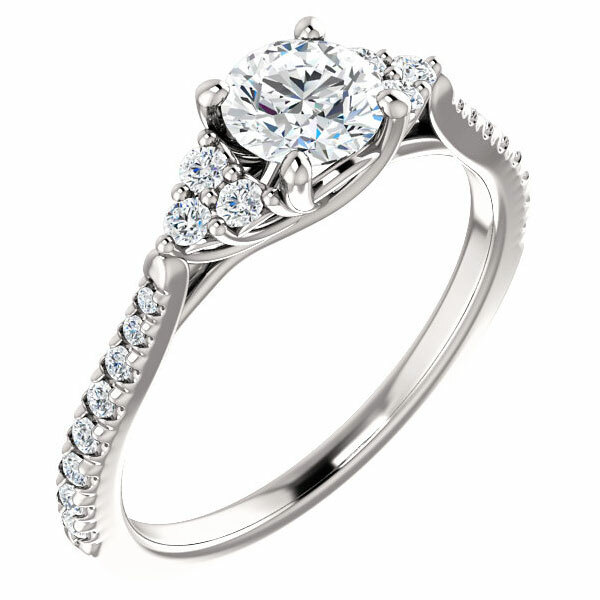 Also available with matching diamond wedding band (shown below). This ring is individually made to order. Please allow approx. 7-10 business days for 14k or 18k and 2-3 weeks for platinum, before your ring ships. Apples of Gold Jewelry guarantees the 3/4 Carat French-Cut Trinity-Accent Diamond Engagement Ring to be of high quality and an authentic engagement ring with real diamonds, as described above.